The Junior Livestock Show has been a staple of the Grand National Rodeo event for decades. 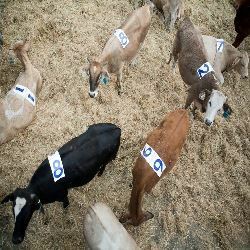 Through many changes in dates and structure within the event, in 2011 at its low point in the number of livestock entries were 1456. Since then with the hard work of staff and interested youth exhibitors throughout the state and beyond, the show has continued to grow, bringing 2015 up to 2033 entries. 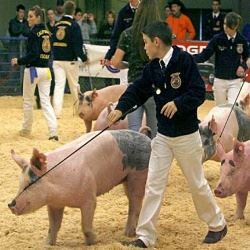 The Livestock Show at the Grand National event is considered a “jackpot” show where the exhibitors win prize money for their animals instead of participating in an auction. The amount of prize money given to the youth exhibitors for 2015 was $56,000 and the Open Exhibitors was an additional $17,000.